Check out our review of Pirates of the Caribbean: Master of the Seas, if you haven’t already. New day and night cycles added. Master the seas during the day and night! 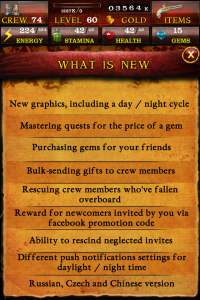 Invite friends to join your crew via Facebook and receive special rewards! Rescue crew members who’ve fallen overboard. Players have the ability to master a quest for the price of a gem. Players can purchase and gift gems to their friends. 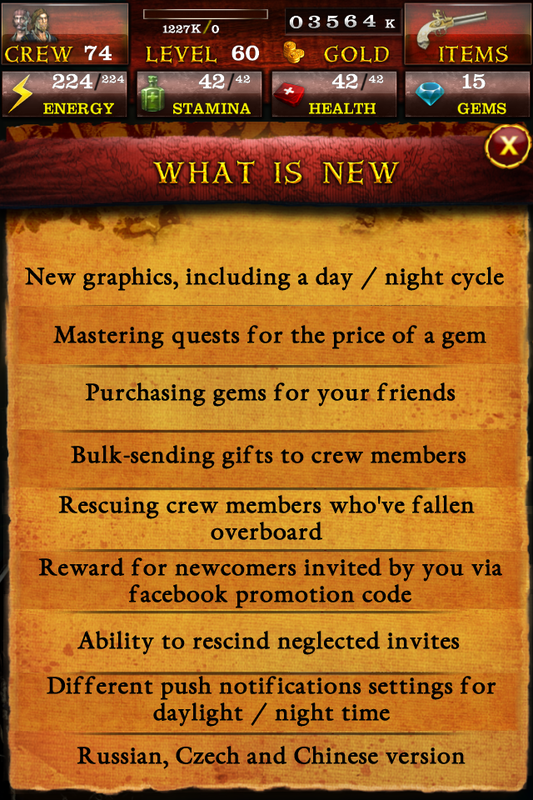 Players can now send gifts in bulk to crew members. Players can now rescind invites.